Eating Disorders can start at any age; whether as a child/teenager you became more aware of your body in order to cope with the outside world, or as an adult to cope with the everyday challenges and responsibilities that life throws your way. Whether you are struggling with Anorexia, Bulimia Nervosa, Binge-Eating or have symptoms of all three Disorders, the specialists at Empowering You, can help you gather insight into your Disorder and get control of your life again (Read our blog post on Eating Disorders). Eating Disorders can have many symptoms including: restricting, binging, self-induced vomiting, over-exercise, laxative or diuretic abuse, diet-pill abuse, food rules, distorted body image, constant weighing and emotional eating. 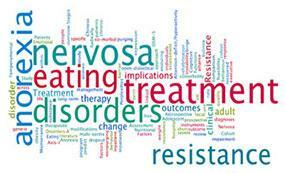 These are just a few of the symptoms that may be active in an Eating Disorder. Often times, when starting recovery from an Eating Disorder, your counselor may recommend seeking out a dietitian as well in order to learn how to normalize food and challenge any food rules you may have put upon yourself. This allows your counselor and dietitian to work together as a team to provide you with all the tools you need to recover. Either way, your counselor will work with you to come up with goals to allow you to work towards a place of recovery and to have healthier relationship with food. If you are unsure whether you may be struggling with an Eating Disorder, please contact us today for a free phone consultation. Click to learn more about Empowering You LLC and their Professional Counseling Services.